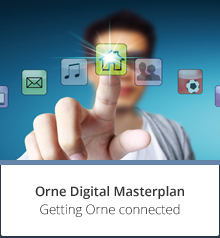 The Orne digital masterplan includes the progressive roll-out of very high-speed internet. Optical fibre, copper wire ADSL, Wireless Local Loop, WiMAX and satellite are all being used to increase speeds across the area. These technologies will be implemented according to actual requirements, the existing infrastructures and geography. The first phase of the Orne Digital Masterplan covers the connection of 80 business and industrial parks in the area to very high-speed internet by 2020. These are priority targets for Orne Council. 31 business and industrial parks already benefit from an attractive offer. The remaining 49 areas will be connected to very high-speed internet by 2020. The scheme will be rolled out gradually. 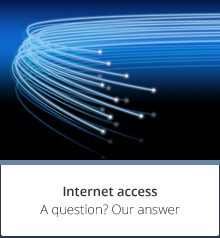 Because they are located too far from telephone exchanges and intermediate distribution frames, some Orne businesses will not have fibre optic access (i.e. very high-speed internet) by 2020. However, they can already get a quality high-speed connection over the airwaves (wireless local loop, satellite and WIMAX). Pending the bandwidth upgrade and the very high-speed local loop, Orne Council will cover a share of the cost of fitting satellite, Wimax and wireless local loop technologies. Council aid is limited to €150 or €450, depending on whether or not beneficiaries purchase the connection kit. This policy aims to give everyone access to satisfactory speeds using wireless solutions. The replacement of equipment already subsidised by the Council, but which has since become obsolete (due to a change of satellite) is also eligible. Satellite dishes and other devices taken down can be recycled at waste collection centres. Orne Council also covers a share of the work required to for ADSL access for companies who will not, in the short term, benefit from the initiatives included in the Orne digital masterplan (non-priority companies for bandwidth upgrade or FTTH). Orne Council thus offers a grant worth 30% of a maximum budget of €50,000 excl. tax, i.e. a maximum grant of €15,000. This is available to small, medium and large companies, and to tradesmen and retailers. Contact: Orne Council – Local digital development mission: 02 33 81 60 00 – extension 1767 and 1768. 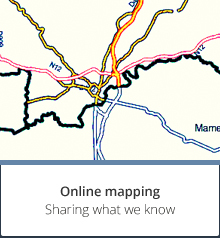 A shared, neutral collection network (Orne-wide collection network) could be developed after 2020.
interconnect Orne to surrounding public and private networks. Other projects will be gradually added to this initiative after 2020, to reach a level of 75% of all households able to connect to the fibre optic network by 2030. Alongside this scheme which covers telecommunications infrastructures, digital services are already the focus of investment by Orne Council, with dematerialisation and procedures available on Orne.fr, the creation of telecentres, and development of innovative digital services. These projects will be continued as part of the new masterplan.